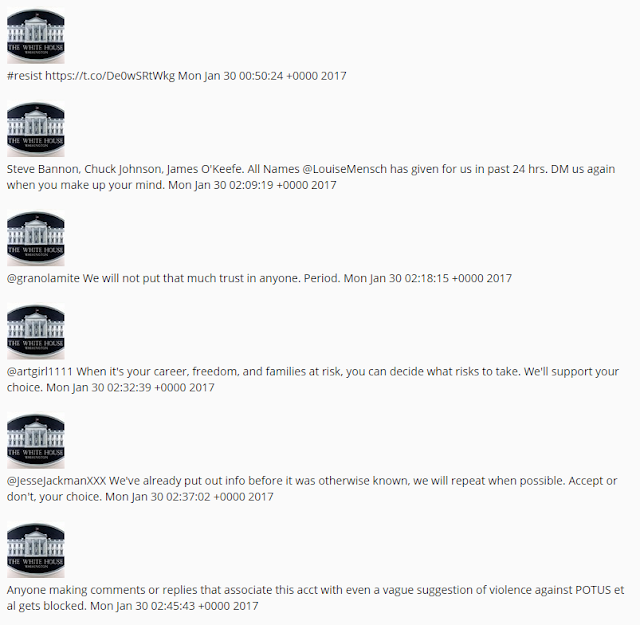 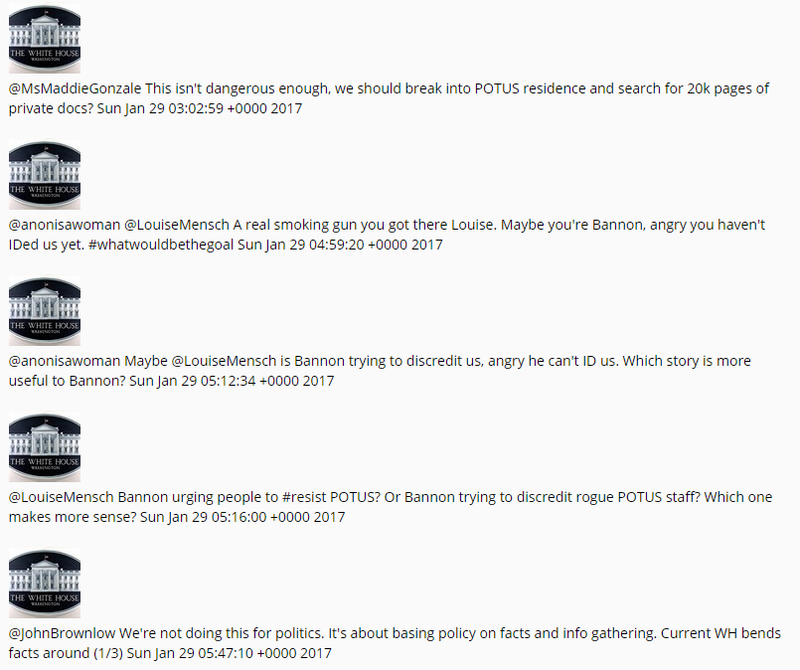 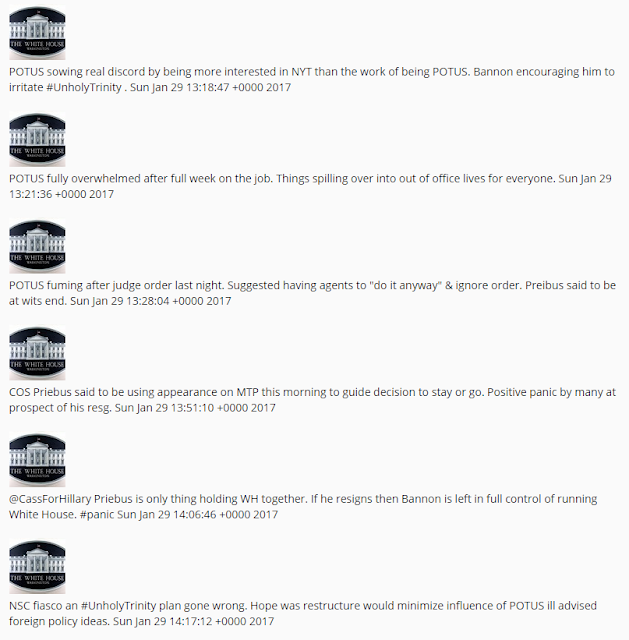 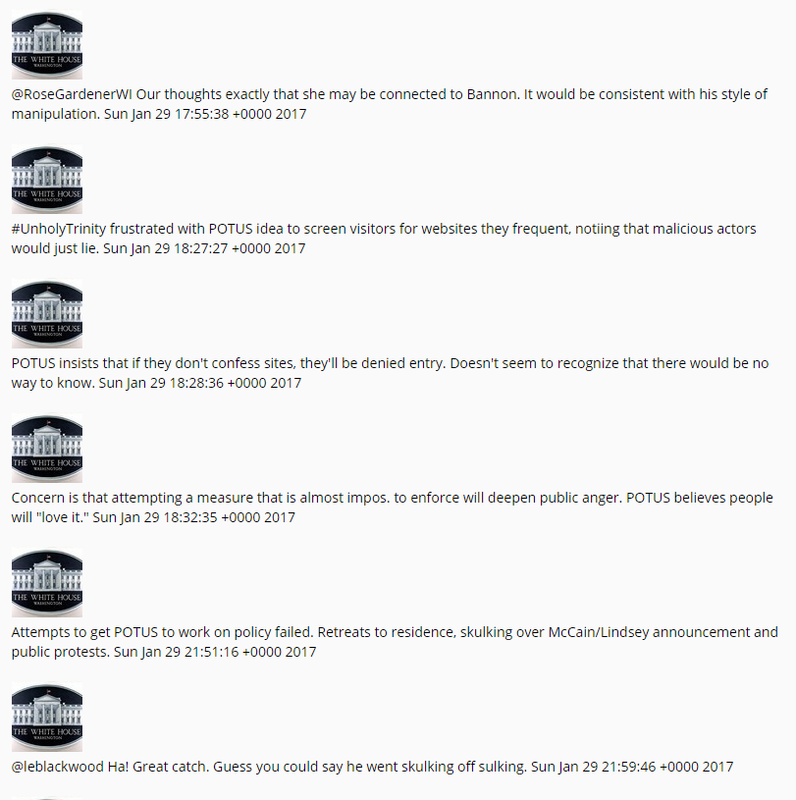 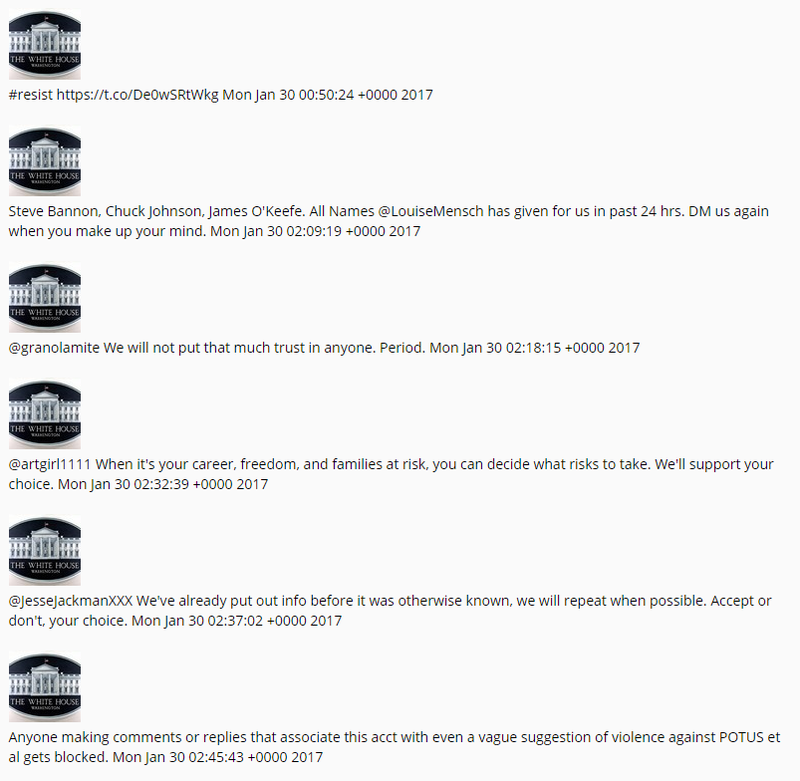 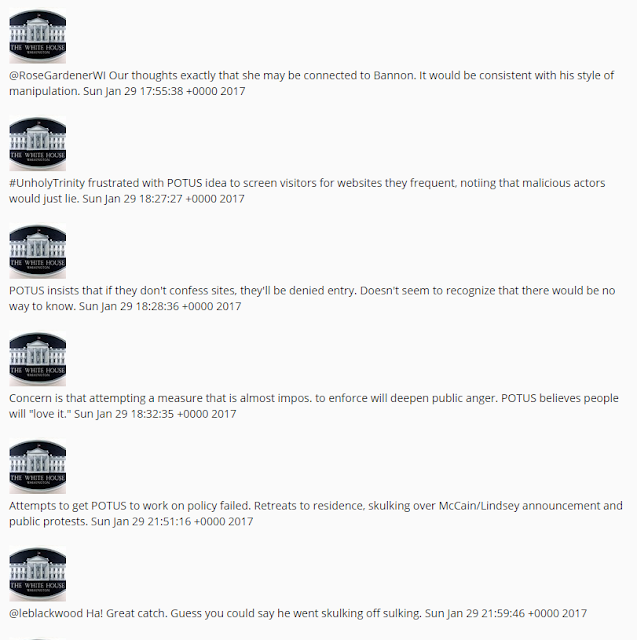 Here are more tweets from Twitter account @RoguePOTUSStaff. 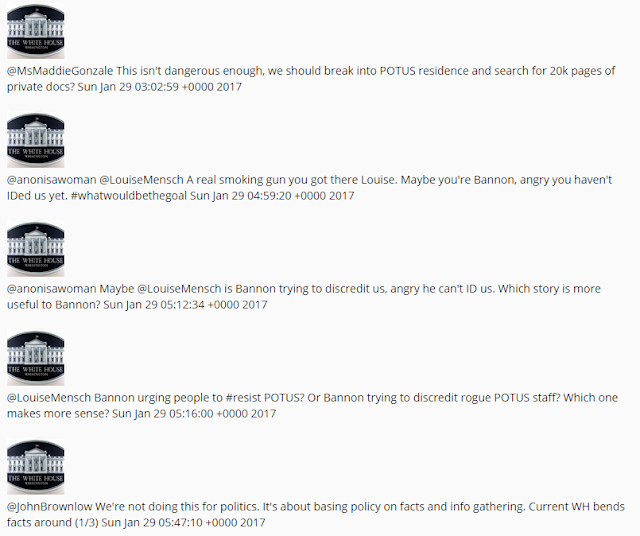 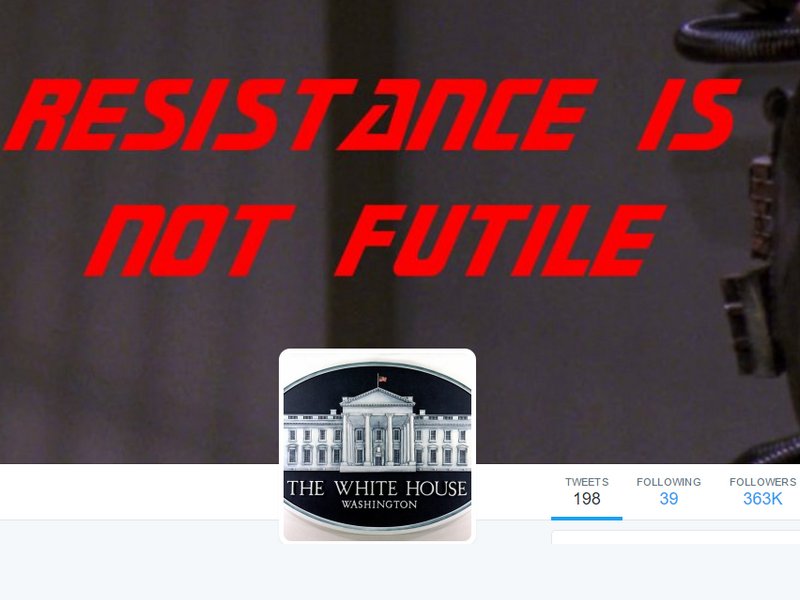 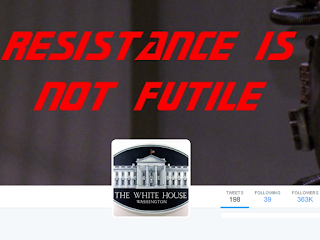 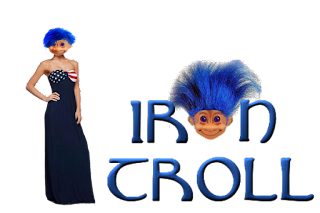 The account claims to be a group of Trump staffers. 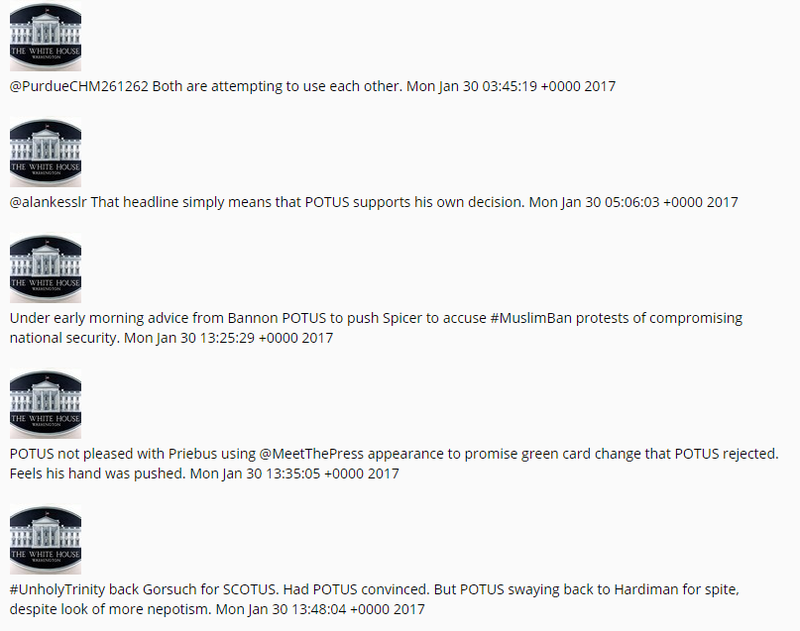 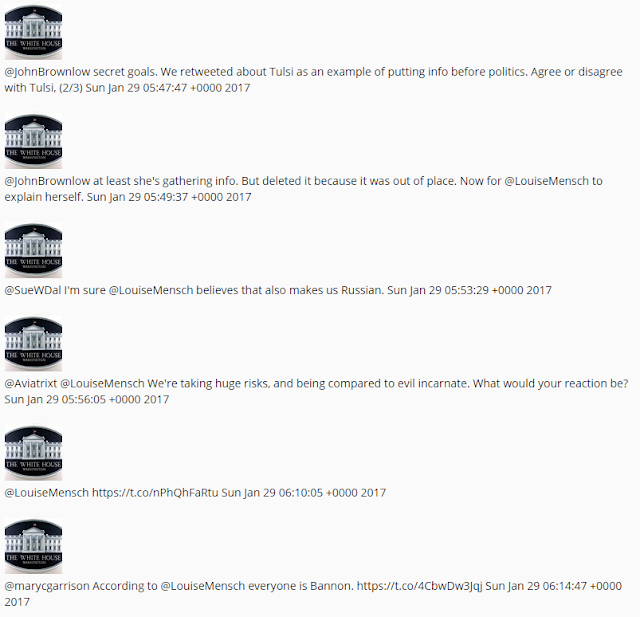 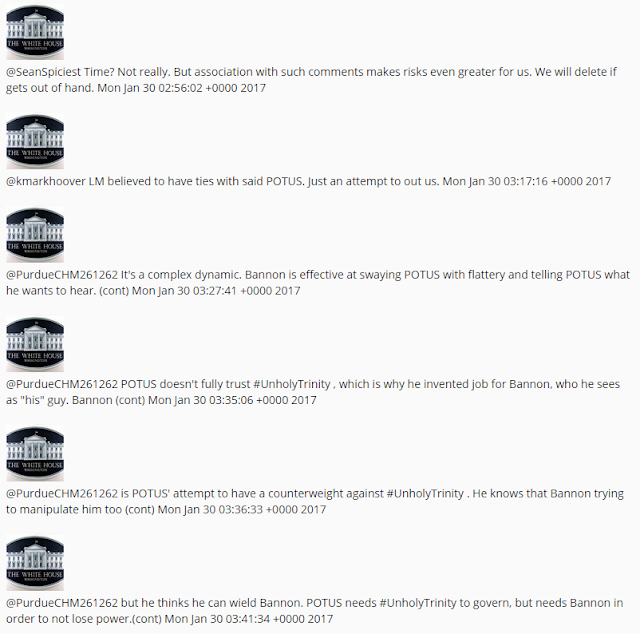 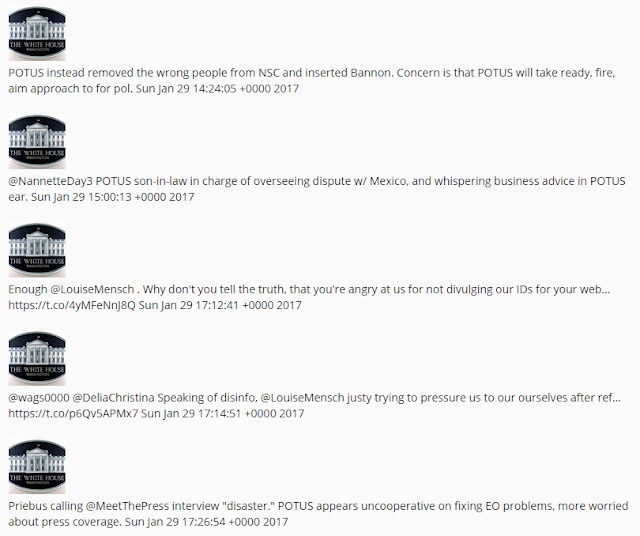 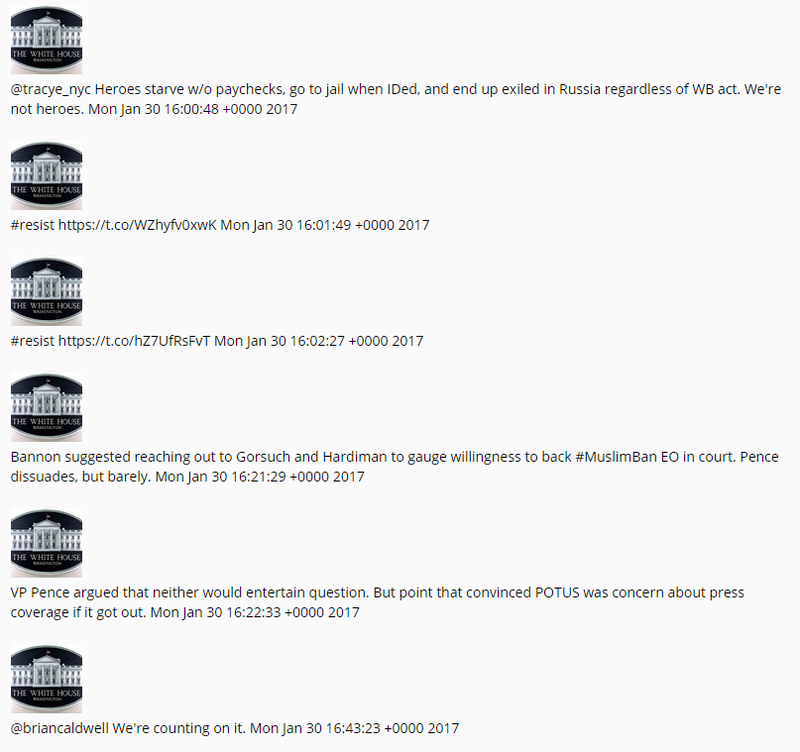 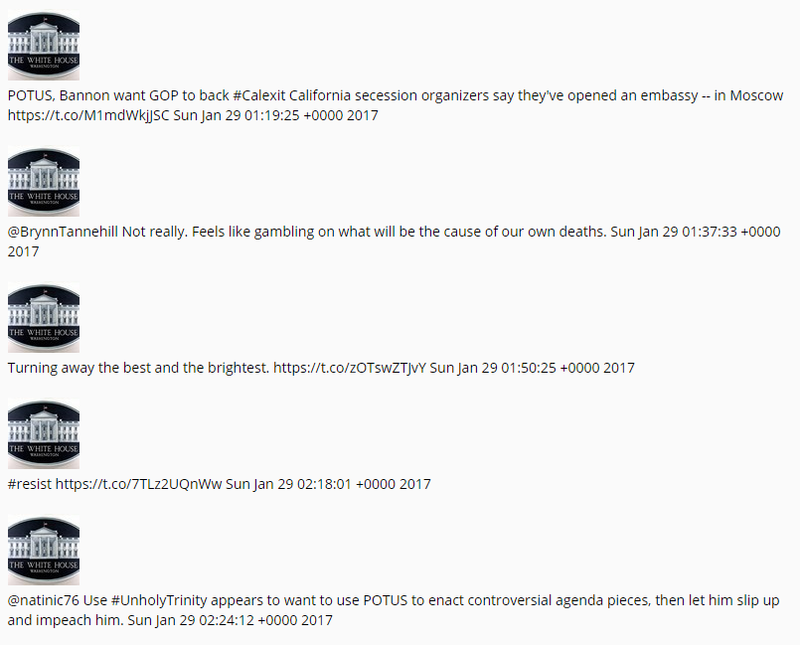 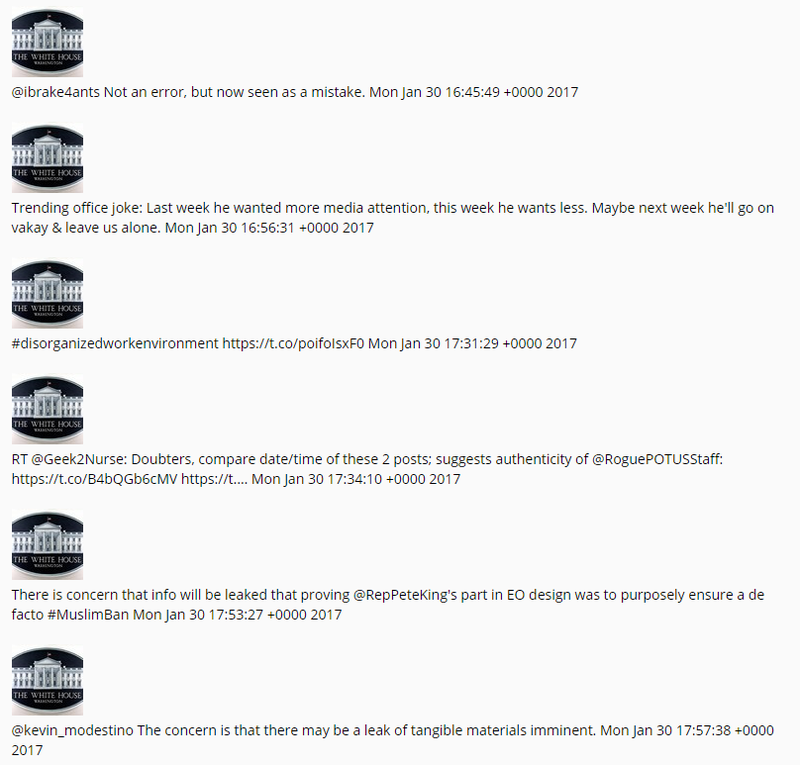 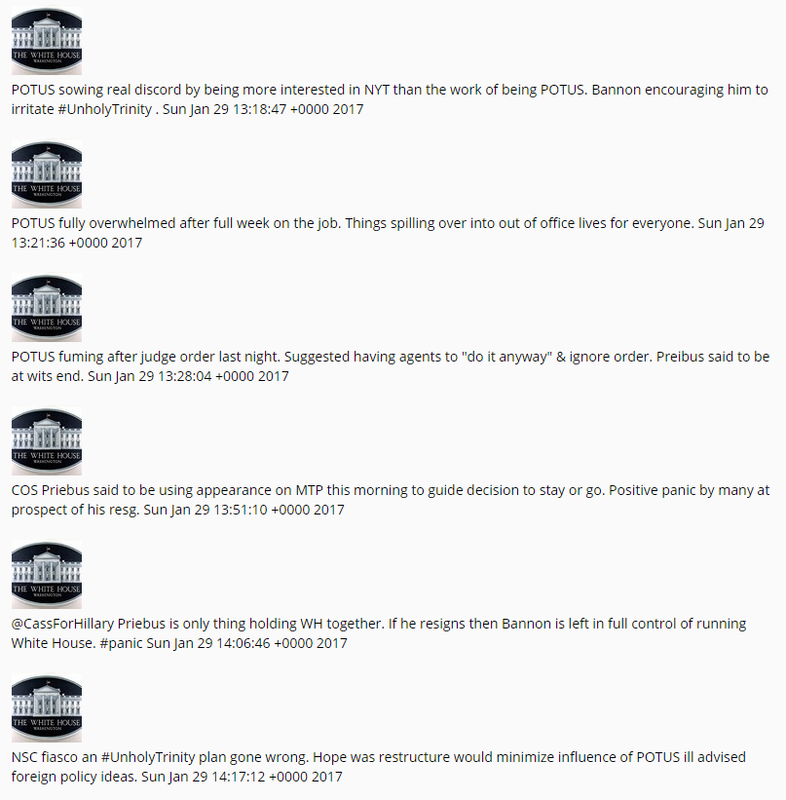 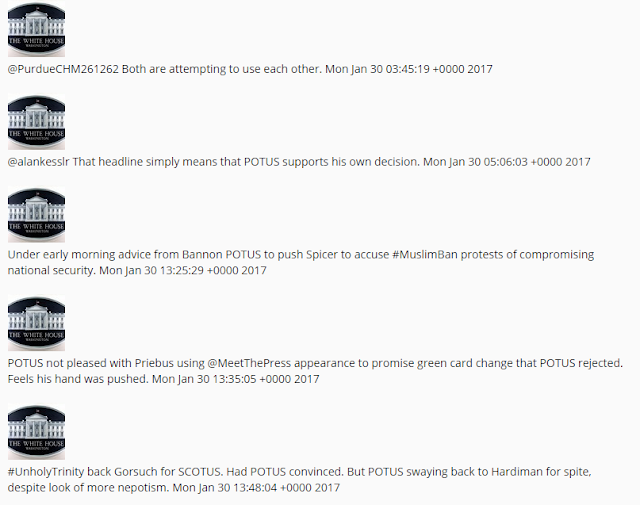 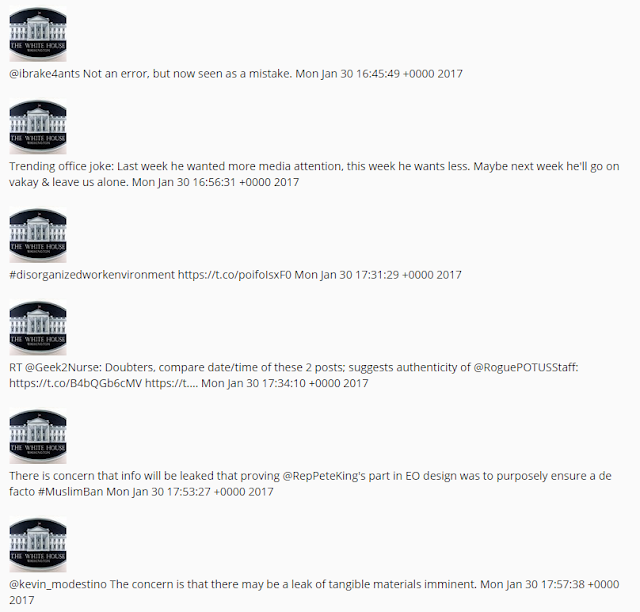 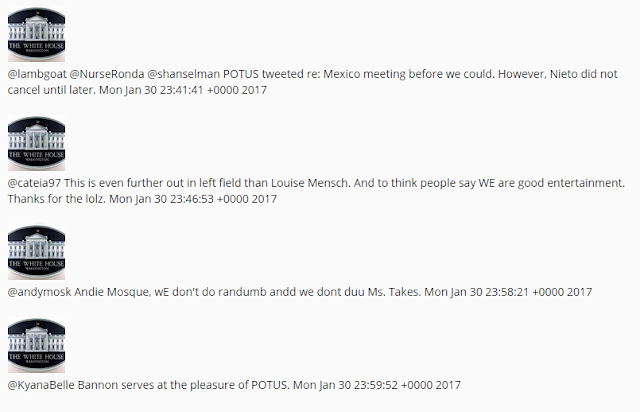 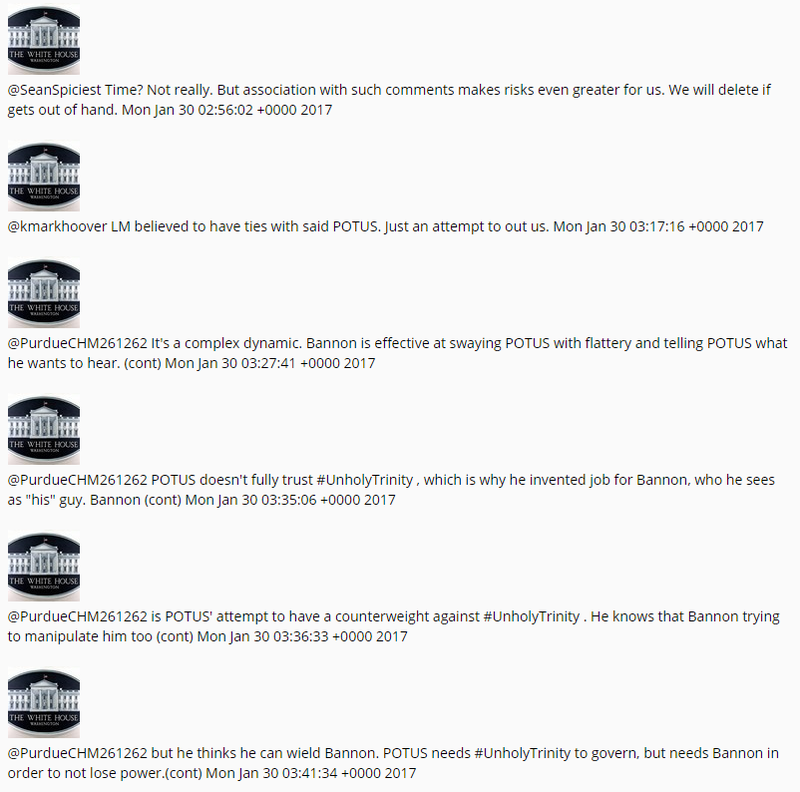 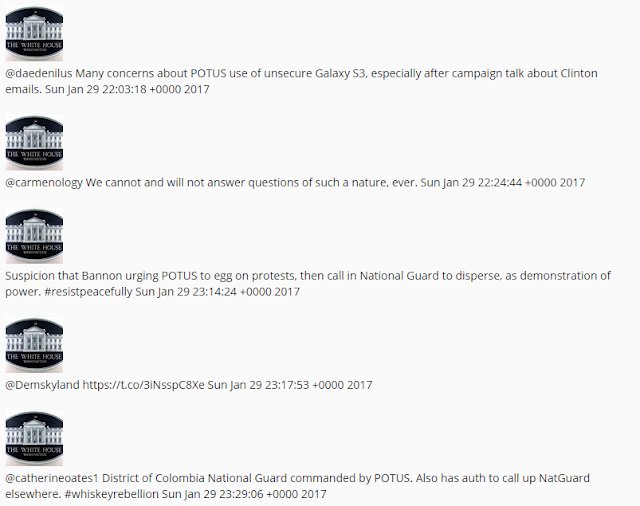 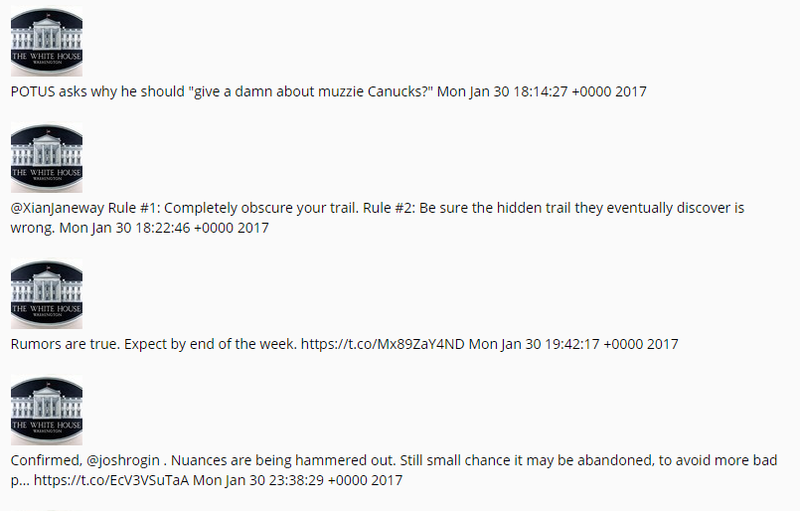 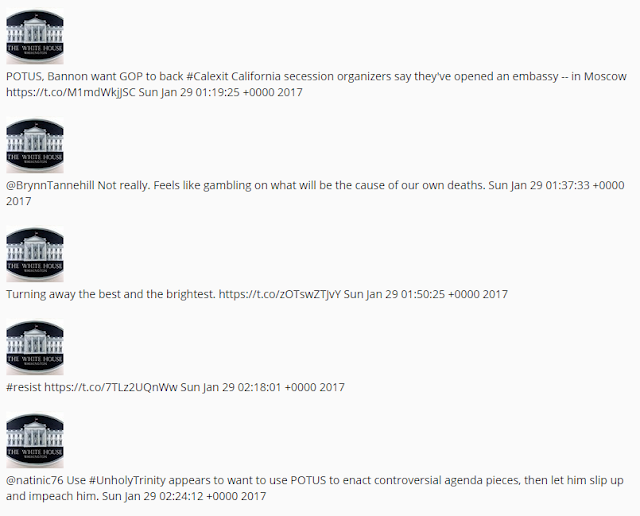 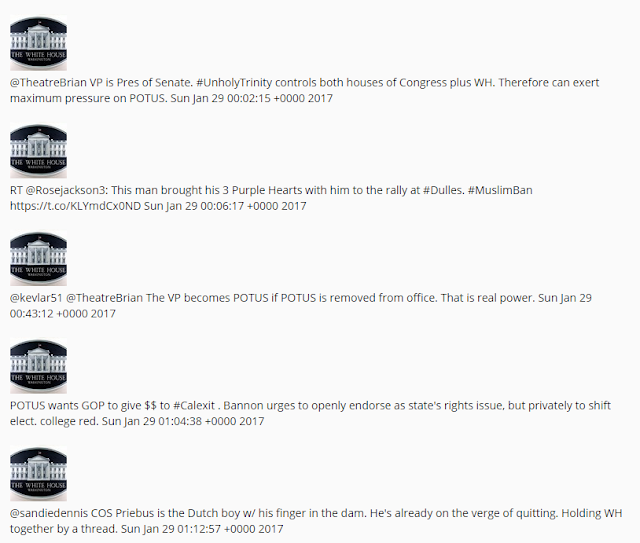 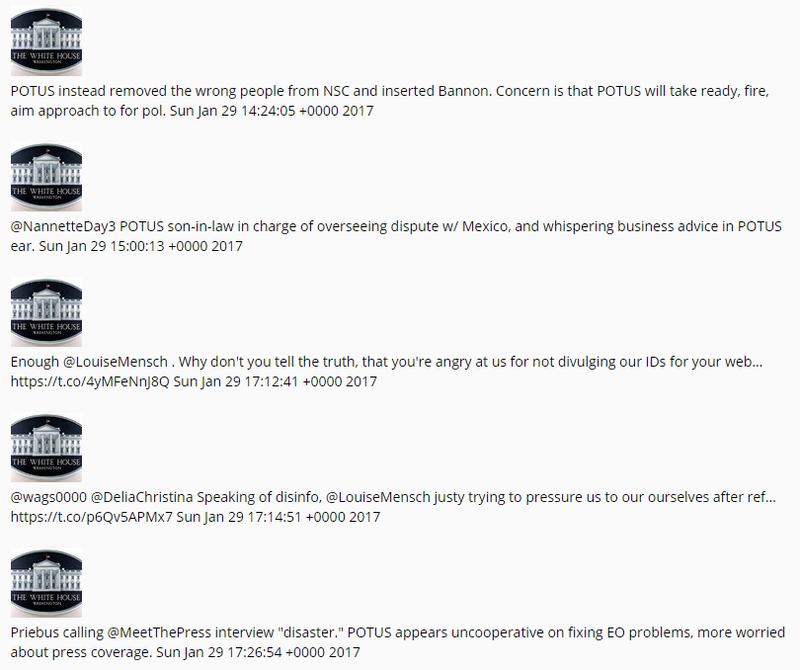 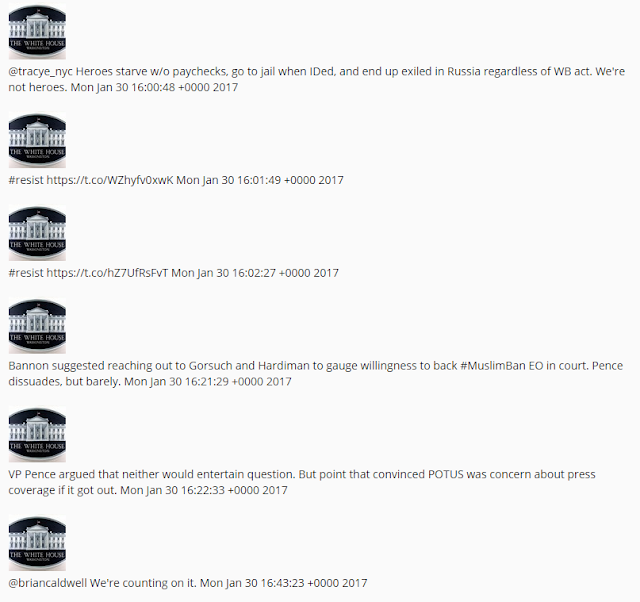 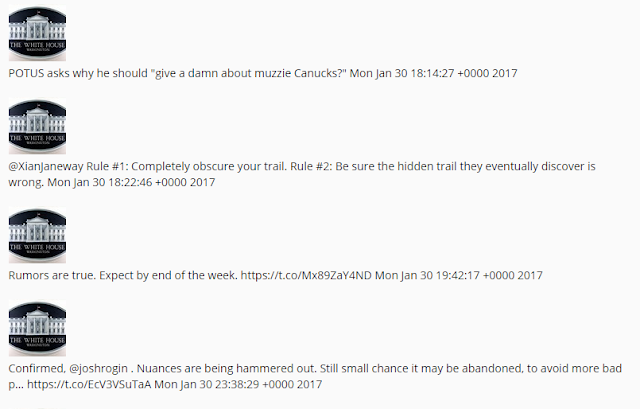 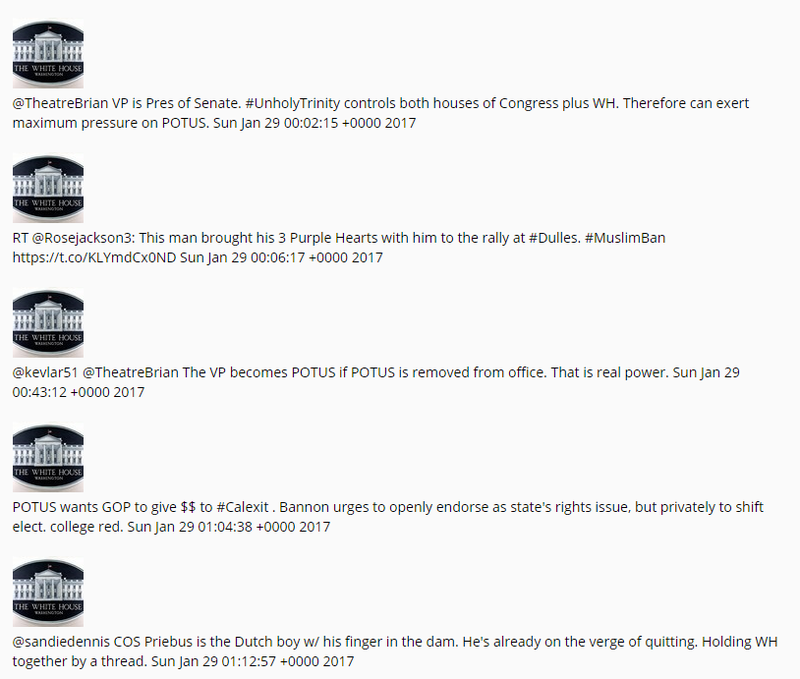 Tweets are in chronological order from January 29ty to 30th.